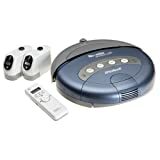 iRobot Roomba 4230 Remote Scheduler Robotic Vacuum by iRobot ~ Features: Robotic, battery-powered floor vacuum and remote scheduling device. Remote scheduler sets and changes vacuuming times and zones. Artificial intelligence and sensors navigate between walls and furniture legs and adjust for carpet, tile, and wood floors. Virtual wall mechanism establishes two invisible perimeters for vacuuming specific zones. Low-profile design fits under beds, sofas, and other tight spots where conventional vacuums can't reach. Scheduling Capability: With Roomba Scheduler, you can easily program Roomba to clean when you want. Roomba will leave the Home Base at your scheduled time, effectively clean the floor, and return to the Home Base to recharge its battery for the next cleaning cycle. The Roomba 4230 Scheduler Robotic FloorVac will start cleaning whenever you tell it to! Any time of day or night, when you are home or not, once a day, once a week, or three times a day--just tell it what to do. Upon completion of its cleaning mission, it automatically returns to its Home Base to recharge its batteries. The Roomba Scheduler knows what surface it's cleaning and automatically adjusts to whatever floor surface it's on. 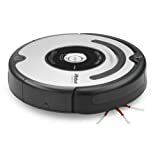 iRobot 560 Roomba Vacuuming Robot, Black and Silver by iRobot (Kitchen & Housewares) ~ Improved coverage algorithm means it vacuums up to four rooms and 30 percent more area. Main brushes work better on fur and hair, requiring less maintenance; improved side brush has more power. Next generation motor delivers greater suction power for more thorough cleaning. Anti-tassel technology easily deals with fringe on rugs; improved suspension works on deep pile carpets. New system sees obstacles, slows down to gently touch and clean around furniture and other objects. Runs on rechargeable built in NiMH battery pack. 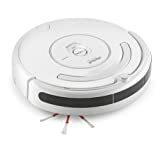 iRobot 530 Roomba Vacuuming Robot, White by iRobot (Kitchen & Housewares) ~ Vacuuming robot picks up dirt and debris with the touch of a button. Easy-to-empty Bagless dustbin; fine-filtration system traps allergens. Anti-tangle technology; gentle-touch bumper system; built-in cliff sensors. Self-charging Home Base, 2 Virtual Walls, an extra filter, and more included. Measures 16-3/4 by 21 by 5 inches; 1-year limited warranty. iRobot Roomba 510 Vacuuming Robot by iRobot (Kitchen & Housewares) ~ Vacuuming robot picks up dirt and debris with the touch of a button. Easy-to-empty Bagless dustbin; fine-filtration system traps allergens. Anti-tangle technology; gentle-touch bumper system; built-in cliff sensors. Self-charging Home Base, 1 Virtual Wall, extra filter, and more included. Measures 16-3/4 by 21 by 5 inches; 1-year limited warranty. 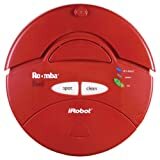 iRobot Roomba 410 Intelligent Floorvac Robotic Vacuum Cleaner, Red by iRobot (Kitchen & Housewares) ~ Entry-level robotic Floorvac with dirt detection and infra-red cliff sensors. Auto adjusts to any floor surface; 2-hour continuous cleaning; easy-to-empty debris bin. Edge-cleaning side brush; stasis sensor; virtual wall for confining to designated area. Rechargeable APS battery, 7-hour charger, 1 virtual wall, and air filter included. Measures approximately 13 by 4 inches; 1-year warranty. 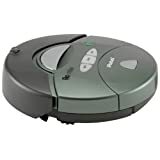 iRobot Roomba 400 Vacuum Cleaning Robot by iRobot (Kitchen & Housewares) ~ The iRobot Roomba 400 Vacuum Cleaning Robot offers standard Roomba features such as stair avoidance, automatic transitioning from hard floors to carpets and a large bag-less bin. Vacuums beneath furniture and other hard-to-reach places and automatically avoids stairs and drop-offs. 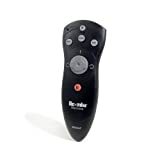 iRobot Roomba Scheduler Remote Control and 2 Virtual Walls by Roomba ~ Features: Convenient remote lets you set up to 7 cleaning times, even when you're out. Virtual Wall Schedulers can be set to activate automatically. Includes one remote and two virtual schedulers. 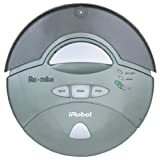 The iRobot Scheduler is a complete scheduling system that can be used with the Roomba Red, Roomba Discovery, Roomba Scheduler. Simply program the days and times and Roomba will clean when you're not at home, at night, once a week or anytime you want. Includes two Scheduling Virtual Walls that activate at set times to contain Roomba in a designated area. Scheduling Virtual Walls require 2 D batteries per unit, not included. 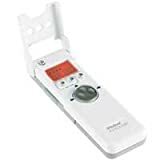 iRobot - Roomba Remote for Roomba 400 and Discovery Series by iRobot (Kitchen & Housewares) ~ Enjoy the ultimate in vacuum control without actually pushing a vacuum! 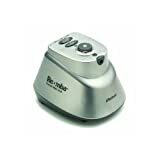 Compatible with all Roomba vacuuming robots, the Roomba Remote can power up your Roomba Discovery (sold separately) move it to a specific area to start a cleaning cycle. The Roomba Remote is powered by two AA batteries, sold separately. Use the joystick to drive the Roomba to a desired location and then select a cleaning cycle: spot, clean, or max. A pause button is included to stop the unit temporarily. 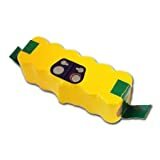 Tenergy Replacement Battery for iRobot R3 500 series 14.4V APS Battery ~ Features: APS battery compatible with all 500 series Roomba FloorVac models. Charges in 3 hours with APS charger. Provides up to 100 minutes of run time. 50 percent greater useful life than original Roomba batteries. Dimension: 5.7 x 2.2 x 2.5inches. Card Tenergy iRobot Roomba 4905 APS Battery Replacement ~ Features: * Charges in 3 hours with APS charger * Provides up to 100 minutes of run time * 50 percent greater useful life than original Roomba batteries * Easy to charge and connect * Compatible with the following models: iRobot Roomba 400 Series, Discovery Series Create Models, Dirt Dog Models. 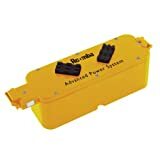 TECHNICAL SPECIFICATIONS: * Voltage: 14.4V * Capacity: 3.3Ah * Max. Discharging rate : 10 C at24 A * Dimension: 7 x 2.2 x 2.3 inches ; * Weight:28 Oz. *Tenergy product is a generic replacement, not the original OEM battery. *iRobot, Scooba, Roomba are trademarks of iRobot Corporation. *Tenergy Corporation is not associated with iRobot Corporation. * Tenergy product is not subject to any warranty by iRobot. 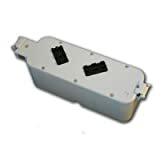 Battery for iRobot Roomba 400 Series Vacuum Replaces APS 4905 ~ Product Description: Voltage: 14.4V; Capacity: 3.3Ah; Fits iRobot Roomba Series, Discovery Series Create Models, Dirt Dog Models! Charges in 3 hours with APS charger. Provides up to 100 minutes of run time. 50 percent greater useful life than original Roomba batteries. Easy to charge and connect. 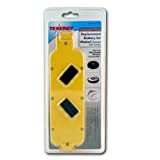 SPECIAL SAVING COMBO: 2 Pcs Tenergy Replacement Batteries (Grey Color) for iRobot Roomba 400 series Vacuum Cleaner 4905 ~ Features:: NiCd Battery compatible with all Roomba FloorVac models. Provides up to 75 minutes of run time. Easy to charge and connect. 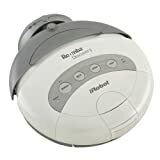 Compatible with the following models: iRobot Roomba 400 Series, Discovery Series Create Models, Dirt Dog Models. Roomba Virtual Wall #P/N2003 by iRobot (Kitchen & Housewares) ~ The Virtual Wall emits a harmless, invisible, infrared beam up to 13 feet long that Roomba regards as a barrier and will not cross. The beam is keyhole shaped and can be as many as 3 feet wide (at the farthest point from the Virtual Wall Unit). You can place it in a doorway to confine Roomba to one room, or it can be used to close off a large open area so Roomba only cleans the area that is soiled.